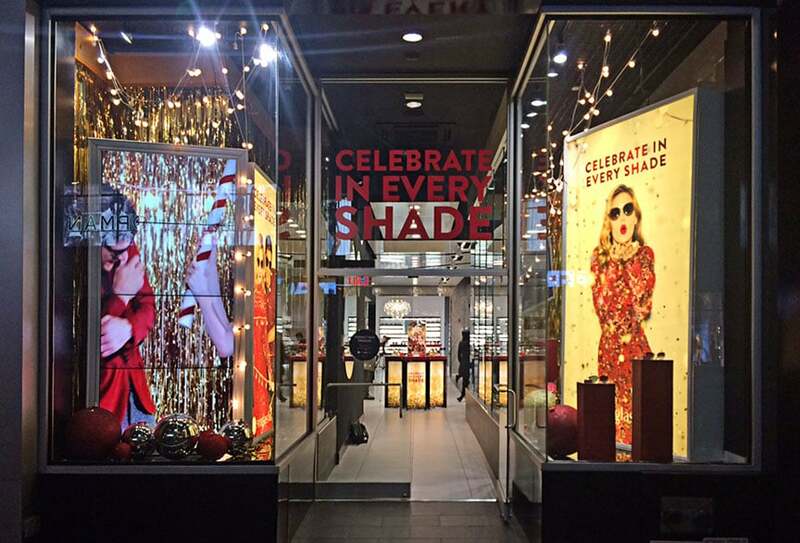 Sunglass Hut: Celebrate in Every Shade — Geoff Howell Studio Inc. Here's a look at the holiday 2015 windows for the Sunglass Hut flagship. Setting the mood for a Holiday party a go-go, we created custom lightboxes, printed and applied all the graphics, made the risers for product display and covered the walls in floor to ceiling gold rain curtain. Confetti, party lights, and gold and red balls of various sizes complete the carefree party vibe.